360storagecenter > Blogs > Fremont U-Haul Rental Services Are Affordable! Fremont U-Haul Rental Services Are Affordable! Doesn’t saving money on your next should great?! Utilizing Fremont U-Haul rental services can do just that. Why pay a moving truck driver when you can drive it on your own! As a result, you can save a substantial amount of money during your next move. The amount of money you save by renting and driving your own U-Hual in Fremont can go towards other moving expenses. However, if you have a very large load, you may want to consider asking a couple of friends to help you. Moving your belongings from one location to another can be exhausting if done by yourself. Although contacting a professional moving company is an option, this can be a very expensive move. It can be easy to call a moving company and let them handle your packing, loading, and unloading of your belongings. However, this can be extremely costly and sometimes lead to damaged items. 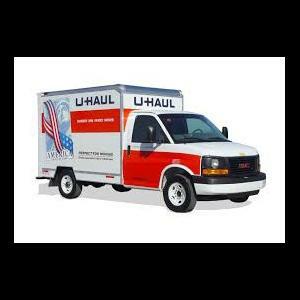 Many people find that it’s a lot more affordable to utilize Fremont U-Haul rental services. Need a U-Haul Rental in Fremont Today? Moving can be frustrating, but saving money is a way to get through a lot of the aggravation. Some Fremont storage facilities can provide you with tips and tricks that will make the move easier. That way, you’ll be more comfortable driving the truck and you won’t be so worried about getting everything loaded and unloaded. Whether you’re just moving around town or you’re going all the way across the country. Save yourself some money by renting a reliable moving truck for your next move. For a free estimate of Fremont U-Haul Rental Services, call (925) 892-3880. A representative will answer any questions or concerns you may have about renting a moving truck.